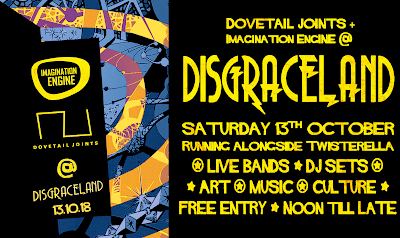 Middlesbrough’s most diverse event space, the phantasmagoria of kitsch that is Disgraceland, will play host to some of the most exciting bands and artists from the region and beyond, this October, as part of this all-day celebration of creativity. The event sees the first collaboration between independent record label Imagination Engine Records and artist Bobby Benjamin’s ethereal exhibition project Dovetail Joints. 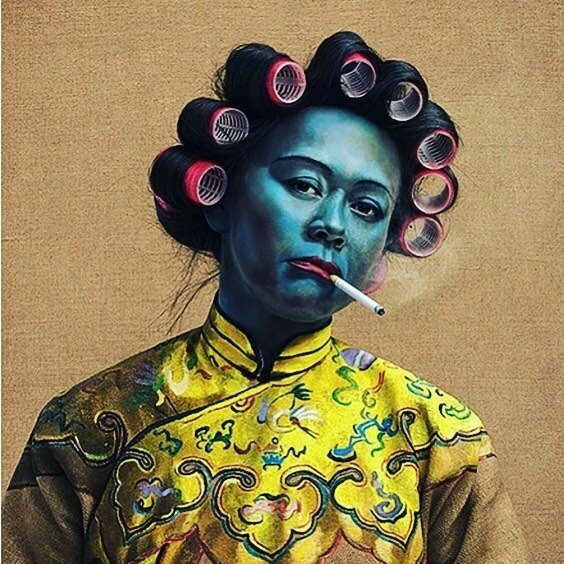 The two creative forces combine to bring an event packed with art, music and culture.This free to attend event boasts an impressive schedule of live bands, video artists, special guest DJs, a late night film screening and a pop-up bar, spread across the spacious Baker Street venue. 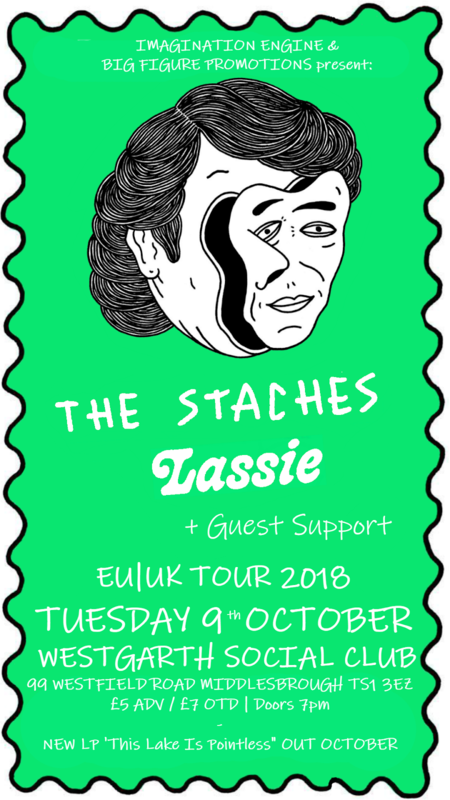 Psychedelic Swiss lo-fi pop punk garage rockers The Staches return to the UK touring new LP ‘This Lake Is Pointless’ this October. On the back of acclaimed critical success with their second studio album ‘Placid Faces’ successive releases on Bongo Joe Records, Dumpster Tapes and Six Tonnes de Chair Records and subsequent world tour, the band are on the road again bringing new music and their high energy, intense and frenetic live show to town. 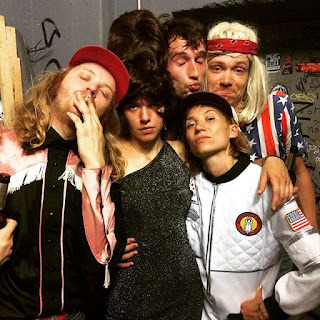 The Staches are two girls and two guys from Geneva whose sound is born of frustration and emerges from that same embryonic indie rock fluid of cultural scenes and influences that spawned the likes of The Breeders, Sonic Youth, PJ Harvey and Suburban Lawns. “A barrage of fuzzed out guitars, throbbing bass, crashing drums and hissing synths” (50thirdand3rd). 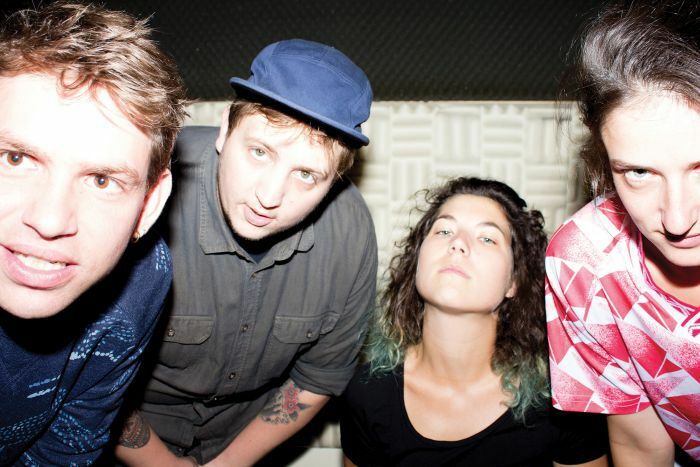 They bring with them on this tour support from Liepzig, Germany, in the form of Lassie. Yes, like the dog. Imagine if you will a cross between 1970’s LSD furballs the Banana Splits and Ty Seagall with a side of Hot Snakes to produce a power pop garage punk party. We’ll also have local guest support (tbc) on the night, which will be our first in a series of collaborations with Big Figure Promotions hosted at the legendary Westgarth Social Club. This is in sync with our series and draws on support from good friends Disgraceland Baker St. too. 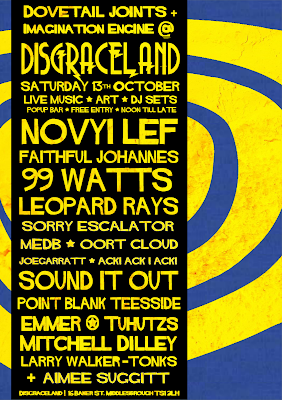 We will also have DJ sets from Dovetail Joints, Point Blank Teesside and Imagination Engine DJs before, between and after the bands. Printed tickets will be available in selected local stores soon and on the door on the night. 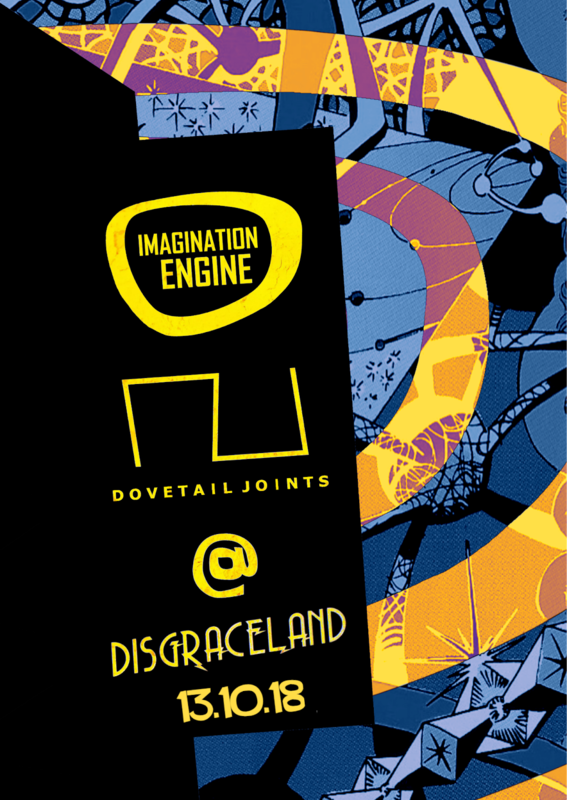 Here at Imagination Engine its all about supporting and promoting acts and artistes that blossom from the verdant art, music and culture scene on Teesside. With that in mind, we’re over the moon to reveal that we’re embarking on a new project with new partners Dovetail Joints and Disgraceland. Whilst we as the label specialize in sourcing the sounds Dovetail Joints will lead on showcasing pioneering, contemporary art. 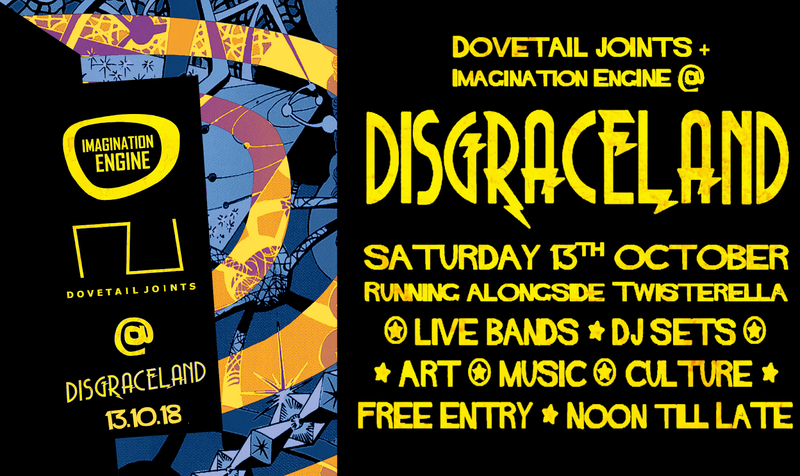 Our good friends Disgraceland, will be both designing the look of and playing host to a stylish series of fashionable and forthcoming LIVE events. Stay tuned for more teasers and reveals over the coming days..